At Columbia College Chicago's Banned Books Week Read-Out, banned books were given fake covers explaining why they were challenged or removed from shelves. 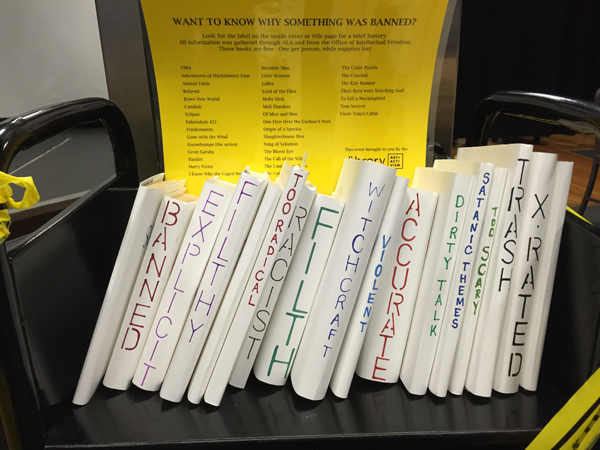 Chicago’s Columbia College was one of many organizations holding “read-outs” of banned and challenged books during Banned Books Week 2015, September 27–October 3. During events on September 29 and 30 and October 1, students, library staff, and other participants took turns reading aloud from banned books, including James Joyce’s Ulysses, Ray Bradbury’s Fahrenheit 451, and Sherman Alexie’s The Absolutely True Diary of a Part-Time Indian. 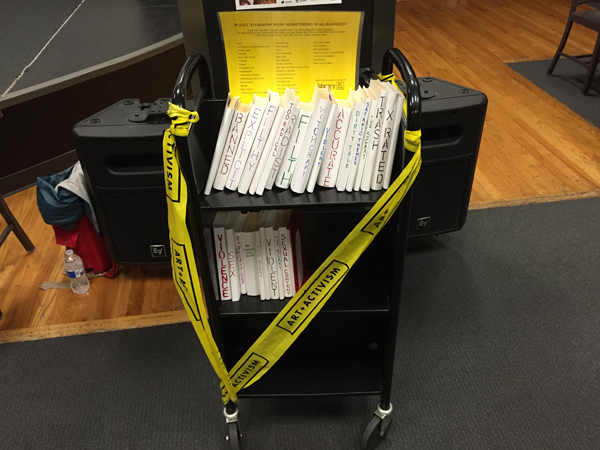 A library cart stacked with books was wrapped in yellow tape bearing the phrase Art + Activism. On its shelves are books with fake covers masking the real ones, their spines displaying the reasons they were challenged—“Violence,” “Filth,” “Witchcraft.” Event organizers used the cart to explain Banned Books Week to students who stopped by the read-out. At Columbia College Chicago’s Banned Books Week Read-Out, banned books were given fake covers explaining why they were challenged or removed from shelves. 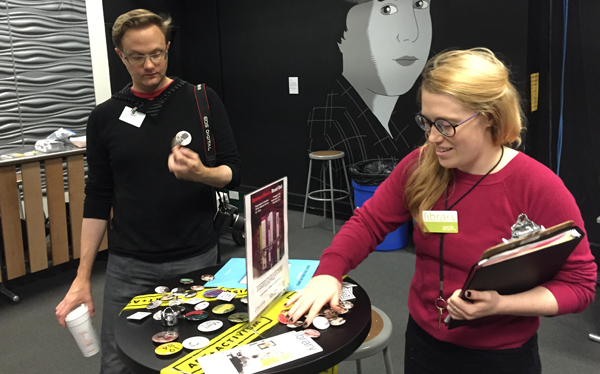 Cole Robertson, marketing coordinator, and Molly Hart, student engagement coordinator for the Columbia College Library, prepare the tables for their Banned Books Week event. 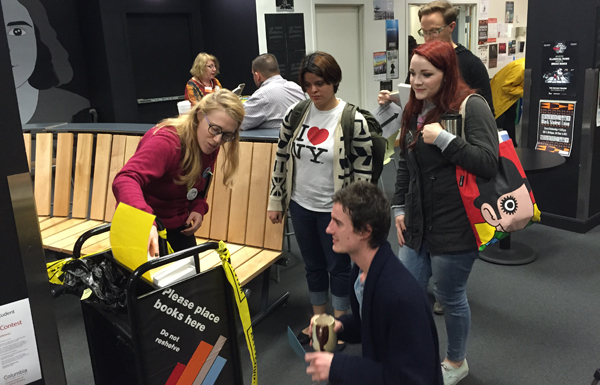 Molly Hart, student engagement coordinator, explains Banned Books Week to Columbia College students at the Read-Out, September 29, 2015. 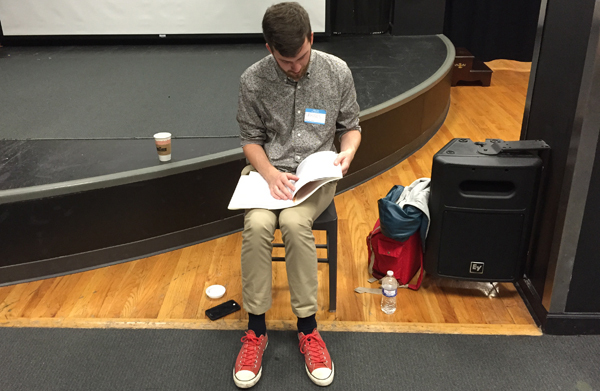 Columbia College student and library staffer Alec Munhall reads from James Joyce’s Ulysses. 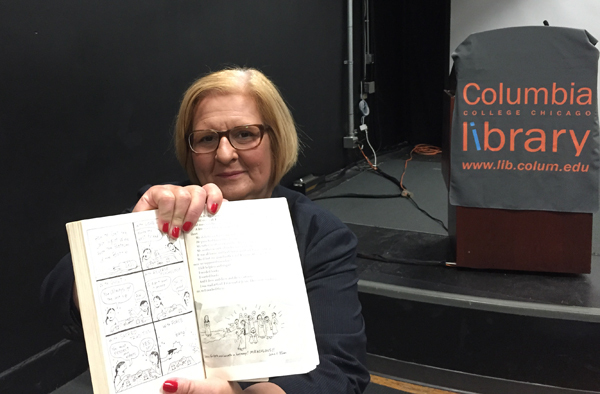 Deborah Caldwell-Stone, deputy director of the American Library Association’s Office for Intellectual Freedom, reads from Sherman Alexie’s The Absolutely True Diary of a Part-Time Indian. 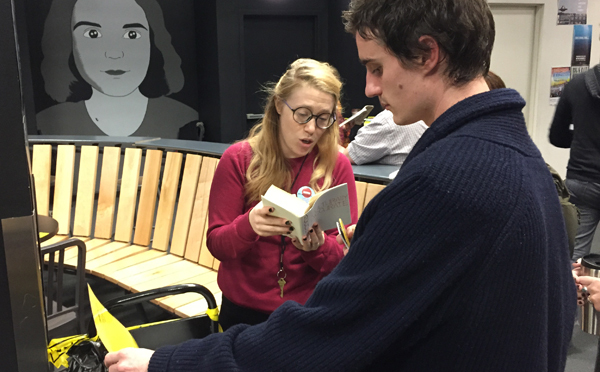 Molly Hart, student engagement coordinator, with student Brandon Vear at Columbia College’s Banned Books Week Read-Out. 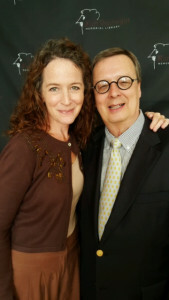 STEVE ZALUSKY is the manager of communications for ALA’s Public Awareness Office.